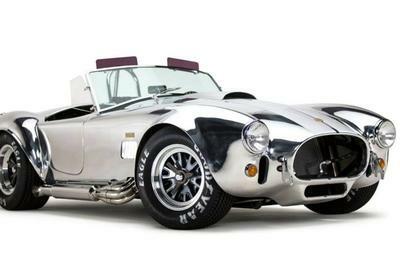 Factory Five Racing has been a front-runner in custom kit cars and hot rods for quite some time, building replicas of cars long since out of production. 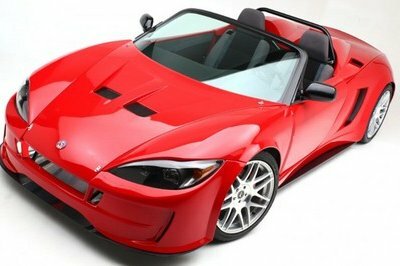 The California-based company also designed and built its own complete car called the 818 using drivetrain components from a Subaru WRX. However, for the particular car pictured above, the drivetrain takes a completely new spin on performance. Missing is the usual Subaru Boxer engine, replaced by a AC35x2 motor fed by a 16-kWh lithium iron phosphate battery constructed of two 8-kWh sub-packs. 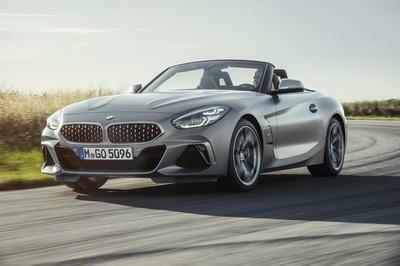 The motor and battery unit is still connected to a WRX five-speed manual transmission that allows for reduced energy consumption and management of the motor’s output. Speaking of output, the motor zaps out 165 horsepower and 189 pound-feet of torque to the rear wheels. 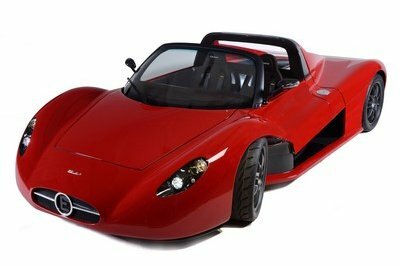 It might not seem like much, but the entire car will weigh just under 2,000 pounds – even with its body panels attached. Its claimed top speed is 150 mph, and though its still untested, the goal is likely obtainable. Putting this electrified beast together are two other California companies that know a thing or two about building cars and electricity. EV West is undertaking installing and calibrating the air-cooled, Hi Performance Electric Vehicle Systems-sourced electric motor while the guys at 33 Machine work to incorporate all the components within the modified Factory Five Racing tube chassis. In a video past the jump, the naked car squirrels around a test track with all the sidewise shenanigans of a V-8-powered muscle car, but of course is completely silent while smoking its rubber. It may look like a big pile of tubing welded together for now, but the plan is for this 818 to look sleek and stylish once it’s all finished. Just like the gasoline-powered Factory Five 818, the 818 EV will feature a sleek and sporty body that is also very lightweight. Even with everything installed, this rig will weigh just about 1,950 pounds. Judging by the forum thread (see source link), the body is in the shop and ready for installation, but the builders are still hard at work on the interior before putting the body on. 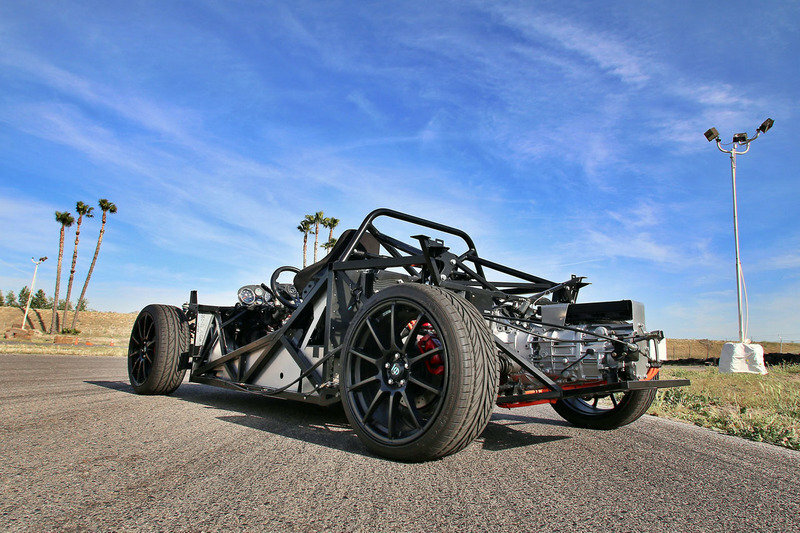 The drivetrain consists of an AC35x2 electric motor from Hi Performance Electric Vehicle Systems (HPEVS), a 16-kWh lithium ion phosphate battery and the five-cog gearbox from a 2002 WRX. The engine is nowhere near that found in the Tesla Model S, but it is still capable of cranking out 165 horsepower at 5,000 rpm and 189 pound-feet of torque from the second you drop the hammer. 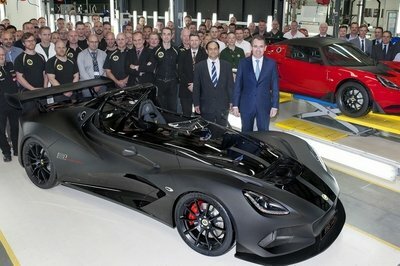 According to the fellas behind this one, the 818 EV will hit 150 mph before topping out, which isn’t bad for any car, let alone an EV. The 818 EV has a range of 60 to 70 miles on a single charge, and a full charge takes just four hours on the inboard five-kW charger. This project is still in its building phase, but from what we can see, it is well on its way to being a reality. The only downside is that this is a private build and doesn’t have any chance of being produced in any capacity beyond this one example.